Today is Mother’s Day and no gift seems appropriate…no gift ever seems appropriate because I have received so much from her. She gave me a childhood filled with joy and love. She gave me the confidence to become the woman I am today. As I reflect upon her role in my life, I weep. I weep because I am overwhelmed by the goodness she has lavished upon me. The prayers. The counsel. The encouragement. The discipline. The friendship. The fun. I do not want to honor her memory after she’s past. I want to honor her today. Every day. I want to celebrate my mom. ♥ Thank you for giving me encouragement when you might have needed some yourself. You have been a constant cheerleader in my life and that has made me secure. ♥ Thank you for showing me that everybody in our lives is in need of that encouragement from the taxi driver to my boss. That has made me aware. ♥ Thank you for teaching me that beauty is not just skin deep but is a reflection of your heart….and that nothing makes you sparkle more than a peaceful, joy-filled soul. That helped define my self-image in a culture that suggests otherwise. ♥ Thank you for modeling that you don’t have to raise your voice in a marriage to win an argument…that a gentle and quiet spirit speaks boldly and with effect. That has made me a better wife. ♥ Thank you for always seeing the best in me, never becoming exasperated or critical of my imperfections, but affirming the woman you know me to be. That has inspired me to do great things. ♥ Thank you feeding me nutritious foods at a time when health food stores smelled really funny. That has made me appreciate Whole Foods on an olfactory level (and taught me how to respect my body). ♥ Thank you for teaching me proper etiquette. That has given me confidence in formal settings, never feeling like I don’t belong. ♥ Thank you for decorating for the holidays and making us feel special on our birthdays. 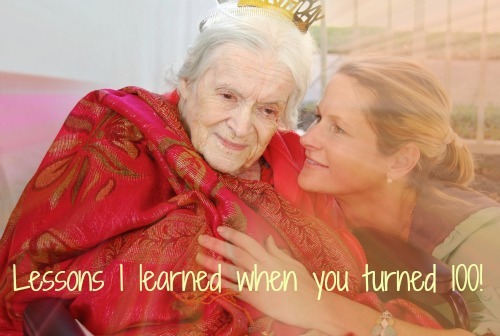 You taught me how to bring warmth to a home and make an ordinary day memorable. That has taught me how to truly celebrate life. ♥ Thank you for being a strong woman not afraid to speak truth. That has taught me to be bold in my own convictions. ♥ Thank you for reminding me: “the difference between hope and despair is a good night sleep”. That has gotten me through many teary evenings. ♥ Thank you showing us how to find joy in the messiest of circumstances. You created a family that wasn’t moody. That has allowed me to see the blessings when life is really hard. ♥ Thank you for your passion to travel and “smell the city”. My richest academic lessons came from the trips you meticulously planned. That has given me a love for learning and an appreciation for history and art. ♥ Thank you for teaching me the scriptures. They have been an unwavering foundation in my life. ♥ Thank you for nurturing me when I am sick. No matter my age, nothing soothes my weary body quite like the voice of my mama. ♥ Thank you for telling me I was your favorite child. I realize you told all of us that, but I also know you meant it with me. That makes me feel special. ♥ Thank you for showing me how to forgive…to forgive when you’ve been wronged…and when the wound is deep. You showed me the freedom that forgiveness brings and the restoration possible. That taught me mercy and healing. ♥♥♥ But above all, thank you for loving me. I have never known a day apart from your love, and that is a priceless gift. YOU are a gift to me. So today, on this day that we celebrate you, I hope my life has honored you, brought you joy, and is pleasing to your soul. I love you mom. Journaling is an art that should never die. It provides your legacy with an honest glimpse into your soul. Eating healthy and exercising do not dictate a long life, just as smoking and years of sunbathing do not mean it will be short. Even when our minds have forgotten the faces of our loved ones, the site of a child still brings joy to our eyes. A woman is never too old for nail polish. When I met you, I misjudged you. 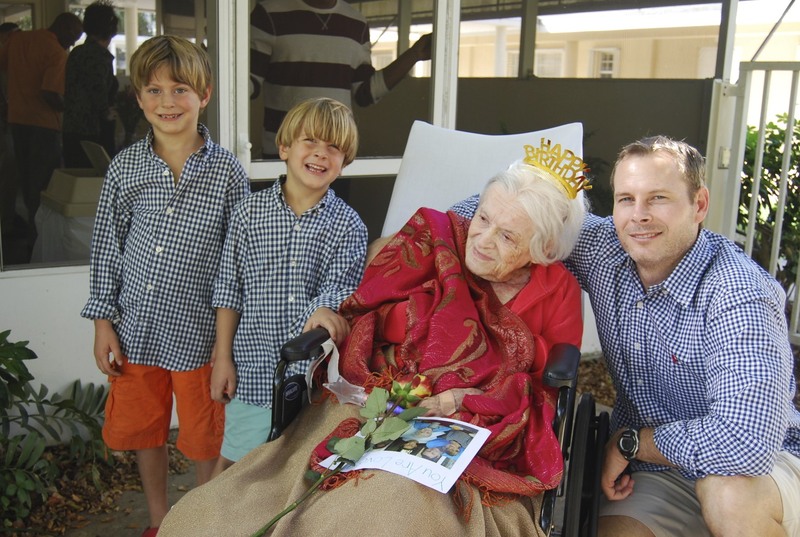 I saw an elderly woman with a strong personality. I saw a woman who smoked and drove a car at 90 years old. I knew you loved cats and feeding peacocks, but I didn’t push beyond that. Maybe we, as a younger generation, are so consumed with ourselves, we have forgotten the legacy from which we came. I did not understand the courage and perseverance behind your choices…because I never really thought about your choices. 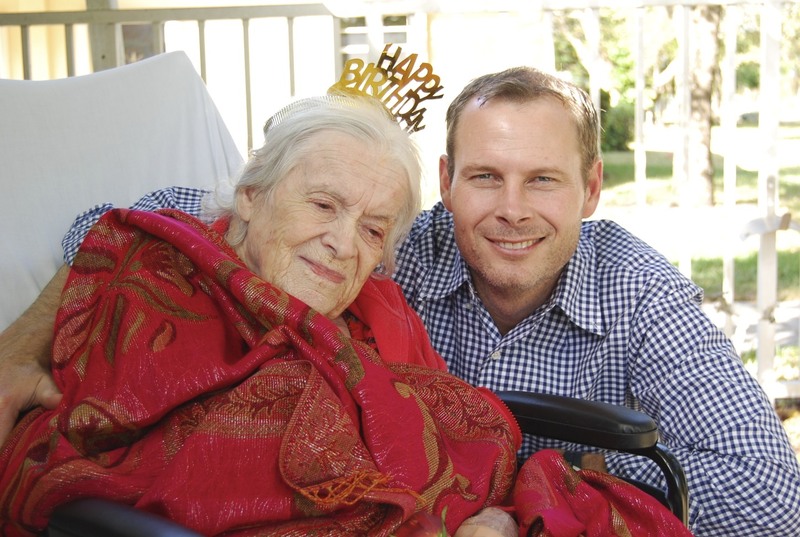 I failed to see the woman who had lived an extraordinary life. I just didn’t know until that day we found your boxes of journals, love letters, and newspaper clippings the passions of your heart. You traveled the world. You were a writer. A political activist. An artist. A lover. You were a passionate reader. You rocked a bikini. You were one of “The 3 Drips”, a name referring to your proclivity to being wet at the beach. I am sorry I didn’t know. You were beautiful. You are beautiful! I wish you could have told me your stories while your mind could still remember. I would have ask you about the love letters and the pro baseball player in California. We would talk about being a delegate in the Nixon administration and visiting the troops in Europe when people didn’t just fly to Europe. Did you take a boat? I want to know what is was like being a single mother at a time when that was frowned upon. I would ask why you thought the church had repeatedly failed you. You walked boldly and your perspective is unique. You made tough choices and great sacrifices. Would you change any of it? Your life took a major turn when you settled down to be a single mother. You became a librarian. You also smiled less in photographs. I don’t know why you lost your some of your sparkle but if it’s because you gave up a life of wanderlust and freedoms to raise your daughter, I appreciate that sacrifice. You raised a daughter who knows how to love. I believe love is learned, modeled for us. You instilled this in her. She turned out great and I know this because I married her son. He knows how to love a woman, be a hands on father, and lead a family. Thank you Thelma for the choices you made. So when I asked you earlier if you would change any of it, I hope you say no. 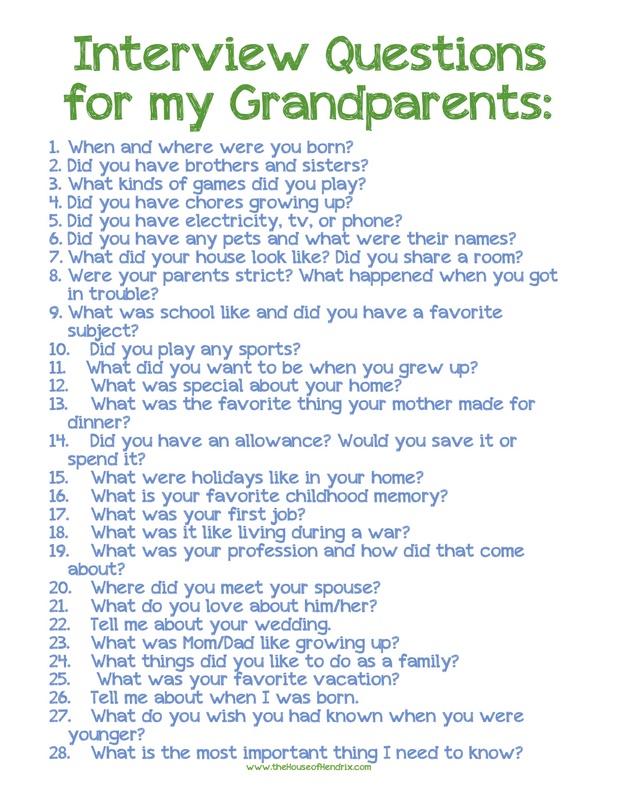 Grandparent Interview Questions | Do your children know the life stories of their grandparents? Let this printable encourage you to ask. I’d love for you to follow The House of Hendrix below, and if you haven’t already, Like us here on Facebook and join our Pinterest community. The cake is eaten, the balloons deflated, the presents unwrapped. My child’s love tank is filled from the attention he receives on his birthday. He is delighted by the new additions to the toy collection. Now it’s time to wrap up the last piece of birthday business before putting this celebration away until next year…the THANK YOU NOTE! If I’m honest I’m usually exhausted by this point and dread the thought of stamps and addresses. With an older child, I think it is important to teach both the art of writing a handwritten thank you note as well as scheduling the time to do such. What I know is that my 6 year old would feel more frustration than gratitude with such a task…and our notes get lost somewhere between being addressed, stamped, soccer practice and the mailbox. 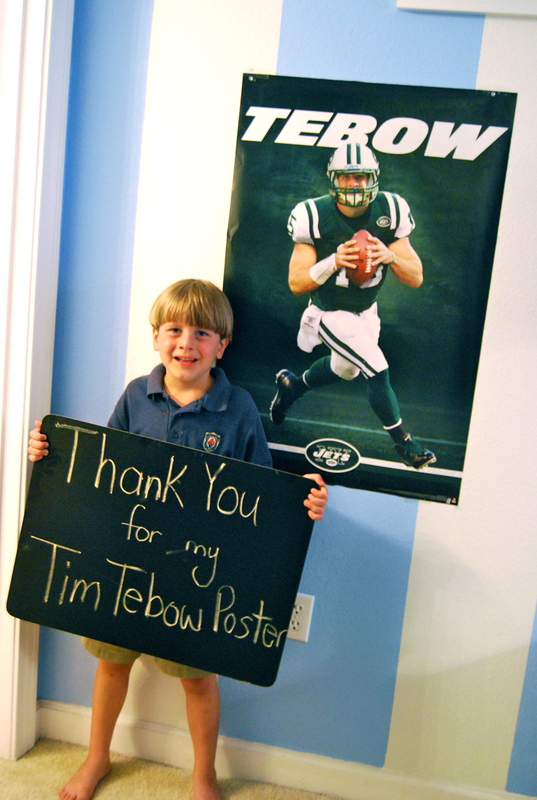 So here are some creative ways a younger child can learn to say thank you. Chalkboard Message- we’ve seen the idea on Pinterest and it’s a great one. It’s quick, can be emailed or texted, and gives a visual to the person. Fill in the blank cards and write them as you open. – When I first saw a ‘fill in the blank’ card in the aisle of Target, I cringed. Then I had 25 four year olds over for a birthday party, and changed my tune. I made a few below, you are welcome to print. 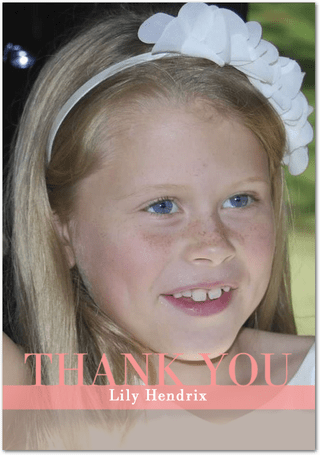 Video message – This is our favorite and most used thank you. 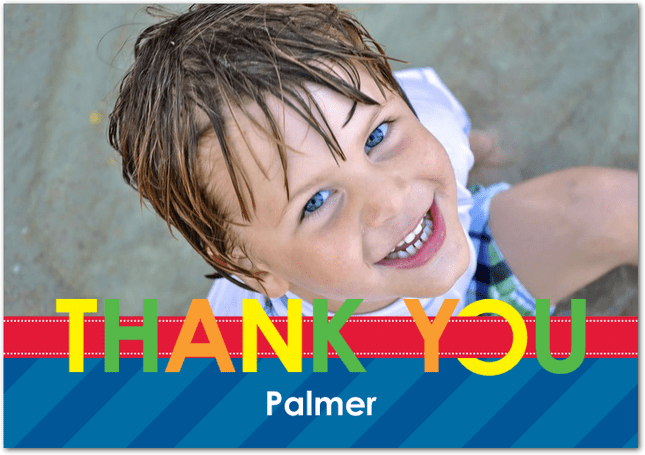 With the popularity of smartphones, your child can say thank you in their own words and personality. We often video the opening of the gift for out of town relatives as it captures that moment of surprise and pure delight. 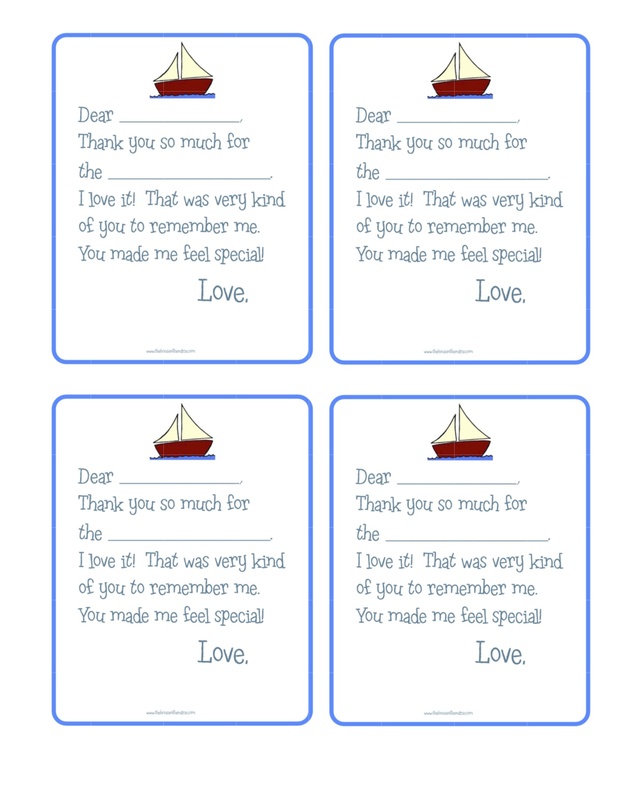 Picture with caption boxes – great thank you idea when multiple gifts are involved. idea from Camp Clem. A Phone call – So simple but I often forget the impact of a sweet little voice. 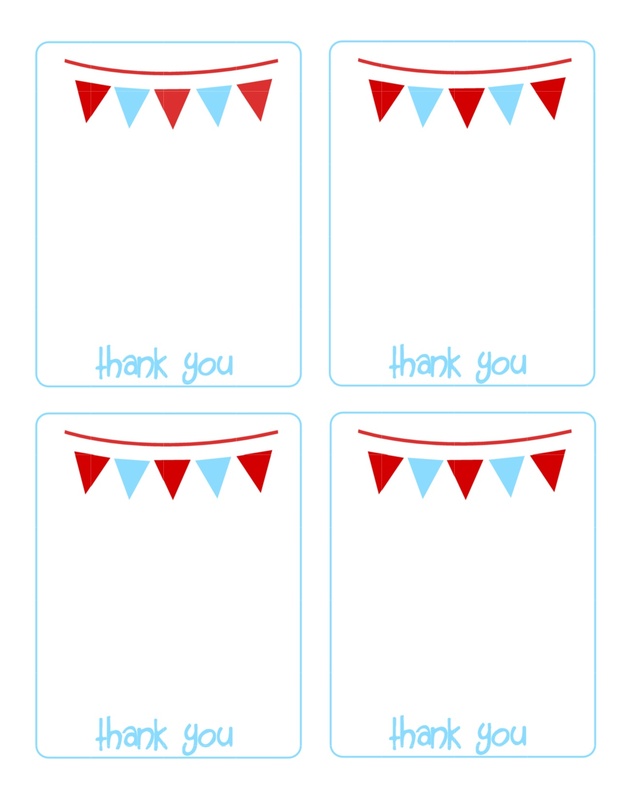 Postcards – Take a festive picture in advance or use one from the party. It could say “thank you for coming to my party”. 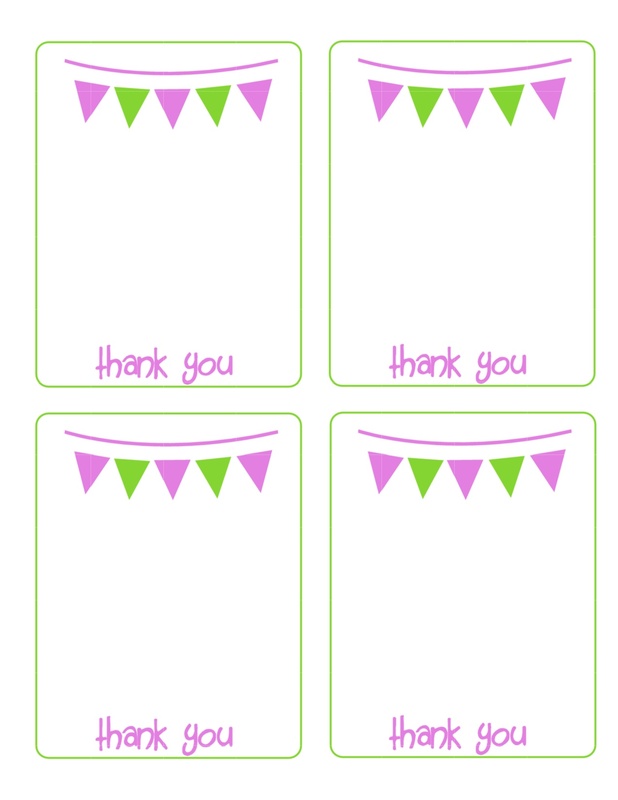 Print them 3 to a page on cardstock and then cut. Add writing to the back. Stamp. Good to go. 7. Picture with friend and gift– If presents are opened at the party, take a picture of the birthday child with each person and the gift they brought. 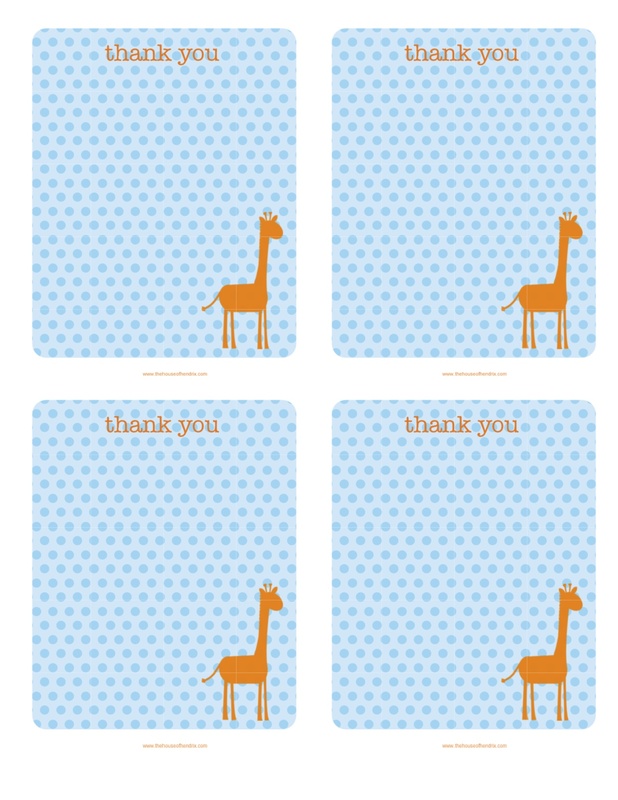 Now you do not have to keep track of a thank you list you’ll probably lose anyway. Then print pictures 3 to a page on heavy cardstock, cut, and add writing to back. 8. Draw a picture – my niece, Josie, recently drew me a picture of herself wearing the shirt I made her. It was precious and warmed my heart because she took the time to draw it.